Hello again, friends. After being gone for so long, it is good to be back! 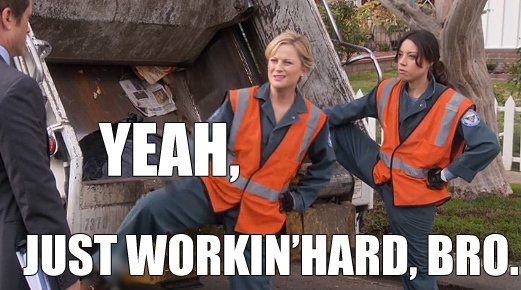 Over Fall Break, when I wasn’t watching Parks & Rec, I was looking at classes for the spring semester! With registration coming up in two weeks, you should take a glance at the Course List too! If you are wondering what you should take, consider fulfilling some COLL requirements or taking an elective course that sounds interesting. 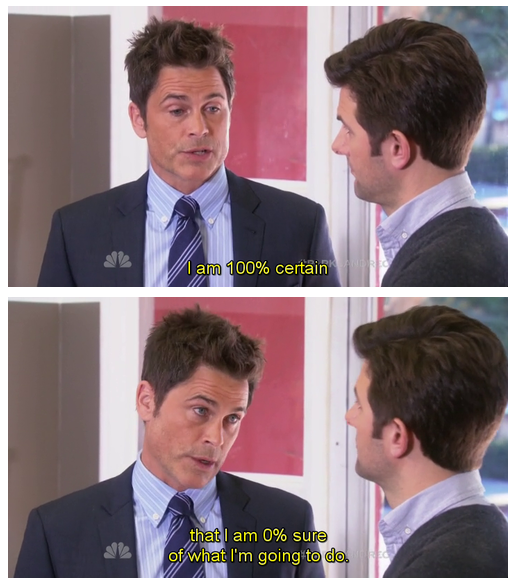 If you want to talk to someone about course selection or if you find yourself like Chris Traeger, consider meeting with a Peer Advisor or an Academic Advisor during Advising Week. Freshmen, don’t forget to also schedule a meeting with your Pre-Major Advisors to get your PIN — you cannot register for classes without it! While you are studying for midterms, writing papers, and trying to keep up with readings for your classes, remember to take breaks to spend time with friends, eat, and sleep — homework is certainly important, but so is your mental health. Keep that in mind when planning your schedule for the Spring — you need lunch and time to relax!